Mike D'Antoni has not been happy with the Rockets play so far this season. Houston fell to the Thunder 98-80 in Oklahoma City on Thursday to drop to 4-6 in 2018-19. 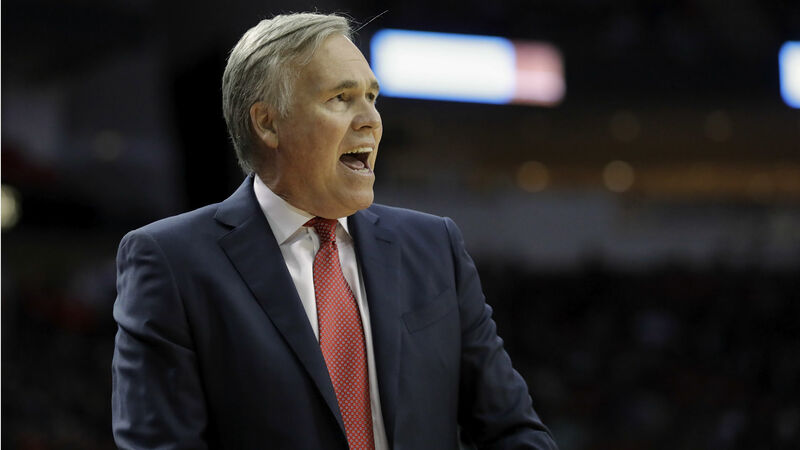 D'Antoni, the third-year Rockets coach, described the team’s performance as “yuck” when he met with reporters after the game. "Really, our offense is anemic," D'Antoni said (via ESPN). "I mean, it's bad. ... I don't know if we're just sagging because we're not believing in what we're (doing). I don't know. We've got to find the answers. “I can't tell you today, 'Oh yeah, it's this,' and we'll solve it tomorrow. No, we've got to work through this and figure out what we need to do. But our offense right now is not very good." "The first thing is we've got to start imposing our will and get our swagger (back)," D'Antoni said. "A lot of it is mental energy. We've got to find a happy spot and then go compete."